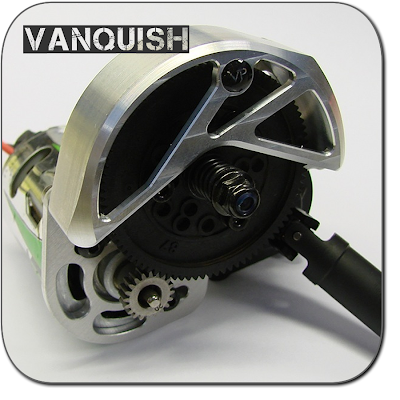 Vanquish Products has just released a new Gear Guard for the Axial AX10 and SCX10. The gear guard is designed to keep out wires and other things that might get caught in the gears. The guard come in two colors: Black (part#VPS02200) and Silver (part#VPS02201).